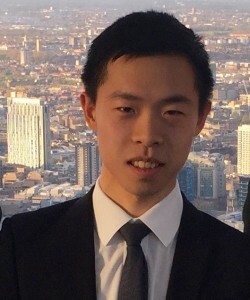 The John Griffith Prize, sponsored by Garden Court Chambers, has been awarded to Mr Haozhou Qiu, a student at the London School of Economics (LSE). The John Griffith Prize is awarded to the student who achieves the best performance in Public Law in the University’s LLB degree. "I have thoroughly enjoyed studying public law in the past year and I am delighted to have been awarded the public law prize which is named after John Griffith, a LSE academic who made significant contributions to the field of public law by challenging traditional concepts of the constitution. What makes public law an exciting subject for me is the fact that legal doctrines such as the Rule of Law are underlined by significant practical impacts on the relationship between individuals and the state as well as the organisation of government. The prize is given in memory of John Griffith, a leading public law and human rights scholar who spent most of his academic career at the LSE. John was also a door tenant at Garden Court Chambers and Editor of the journal Public Law from its creation in 1956 until 1981. His most famous work was a critique of the judiciary, entitled The Politics of the Judiciary (1977). Now in its fifth edition, John’s oft-quoted work argued that because it predominantly consisted of the social elite, the judiciary was unqualified to address the challenges of social justice that were fundamental to the issues it was tasked with settling. It became a runaway bestseller and standard reading for law students. John died in 2010, aged 91. Garden Court Chambers is well known for its work in the field of public law. This October, the Garden Court Public Law Team will be running an all-day public law conference at the London School of Economics, Fundamental Rights Conference: A Public Law Perspective.